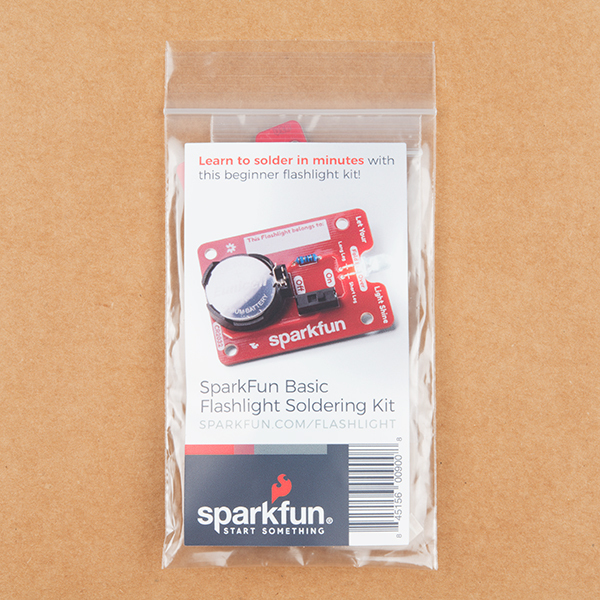 Are you new to soldering and want to learn the basics with one easy kit? 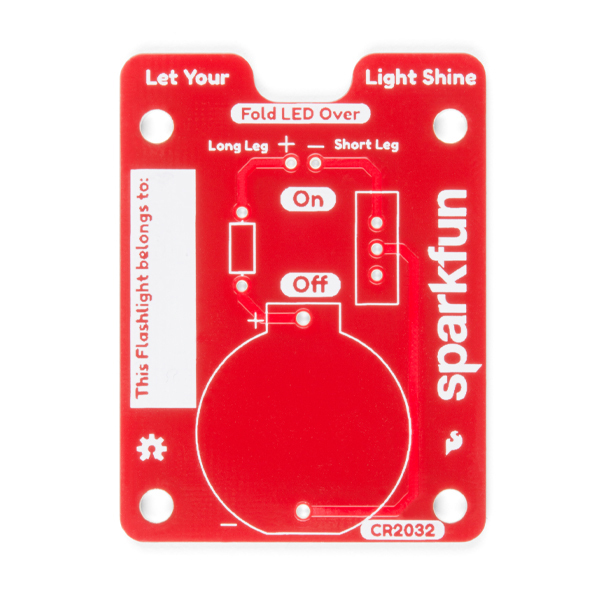 This Flashlight Soldering Kit is an easy to assemble soldering kit designed to help teach the basics of through hole soldering and circuit design. 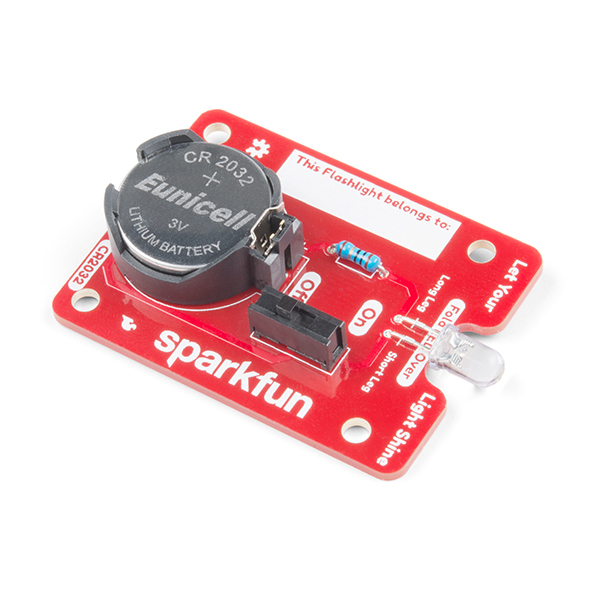 This kit requires you to only solder four unique parts onto a PCB and then insert a CR2032 battery, once completed you will be provided with a simple flashlight that will light up dark areas and keep the monsters away! 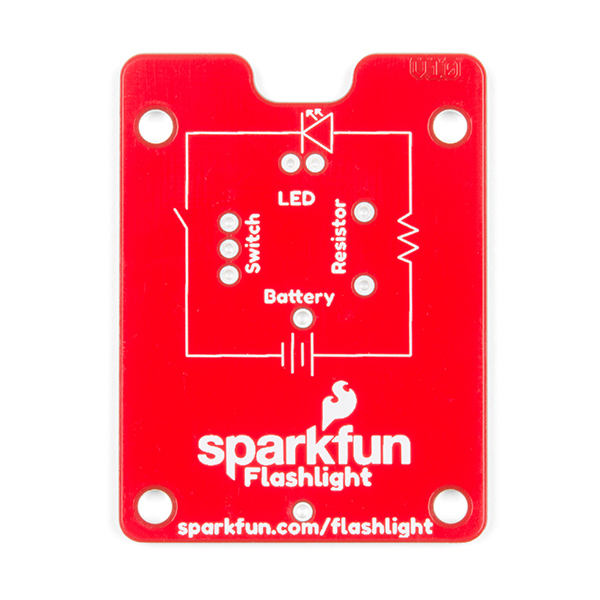 Inside each Basic Flashlight Soldering Kit bag is a PCB, a small coin cell battery, a battery holder, an LED, a resistor, and a switch. 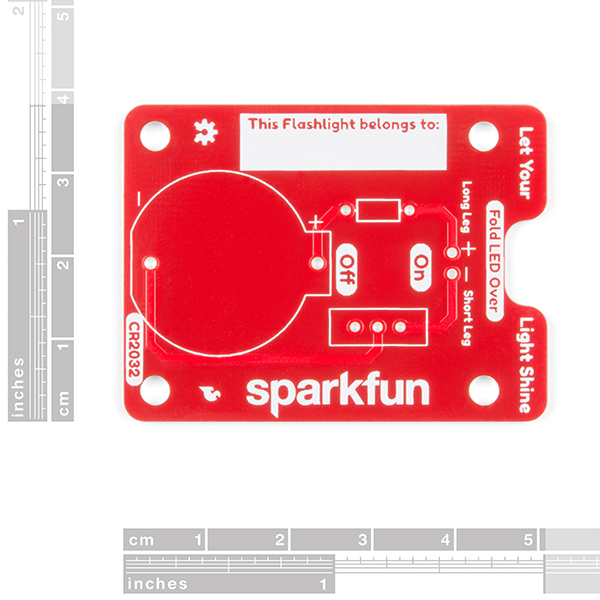 On the front of the kit's PCB, you can see markings and outlines for the four different components to make sure everything is assembled correctly, while on the back is a schematic of the flashlight circuit showing all four components and how they interact with each other. 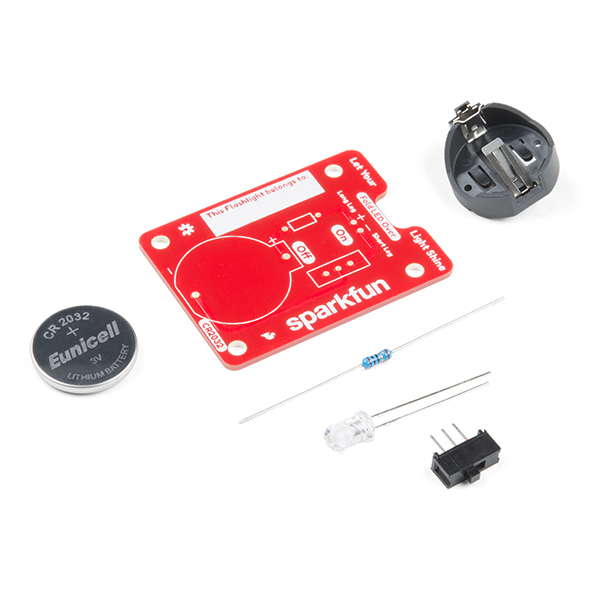 All you need to supply is a soldering iron and solder to put your kit together! I don't often have reason to solder in my hardware projects but I like to stay practiced. This kit had a very informative instruction set and made for a very quick project. Could definitely buy again for anyone who wanted to get into soldering. 2 for 1 - Bought 2, 1 for grandson and 1 for myself with one goal in mind. I bought two of these kits, one for my grandson and one for myself and we built them together after he sat and watched the video taking notes and making sketches in his "scientist" note book. 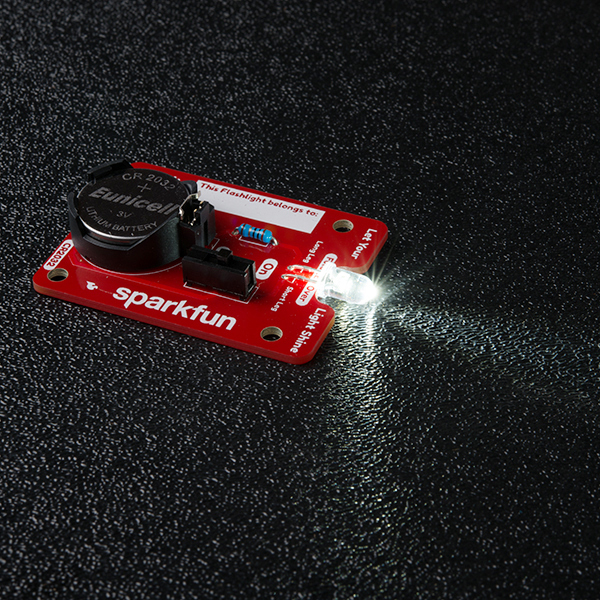 While perhaps overly simple for many, this was a great introduction to a simple circuit and learning soldering that captured his imagination and attention for longer than I've ever seen happen. Thanks for doing the video and for offering this product. We all have to start somewhere and I think this was perfect for him and fun for me to be part of.